Experts do not have to stand for election. That’s why they find it easier to advise the administration of bitter medicine for citizens’ long-term good. Politicians charged with government have to juggle all kinds of public demands for more and more spending. Each day in Leinster House, Opposition politicians recite a litany of people in dire need of better services and/or welfare allowances. Often the cost of these putative demands runs into hundreds of millions of euro. Economists usually keep to sober language and couch their criticisms in euphemistic terms. The Fiscal Advisory Council (FAC) is an independent body set up by the government in 2011 when the crash fallout still spancelled the Irish economy. Its job is to keep tabs on taxing and spending and issue reports which the Government is not obliged to heed. This week the FAC members threw away the book of euphemisms to starkly warn that Ireland is closer to the next economic disaster than it is to the last one. The report makes grim reading for Finance Minister Paschal Donohoe and Taoiseach Leo Varadkar, as both of them have publicly committed to prudent management of the nation’s finances with no risks of returning to recession. But just sample some of the language in this FAC report. “The Budget 2019 plans are not conducive to prudent economic and budgetary management,” it said in its assessment of the Government’s fiscal targets. “Repeated failures to prevent unbudgeted spending increases have left the public finances more exposed to adverse shocks,” the report added. “The medium-term budgetary plans are not credible,” it declared. It does not take much decoding to realise the FAC members are effectively accusing the Government of economic recklessness. But this report does more than point fingers at politicians in power – it is a challenge to every citizen to ask themselves what they actually want in the near future. In some ways this report sums up the gut fears of ordinary people who do not need any economic qualifications to remember the hurt of fretting over work and mortgage payments. But what odds on voters opting for politicians who show they will keep things tight to avoid another crash, versus promises of largesse? We do not have a great history here. In elections during times of boom in 2002 and 2007, none of us wanted to hear talk of prudent economic management. We wanted something few of us had in any great quantity in our lives – money in the pocket, money to spend on good things and good times. The general election of May 2007 is a real case in point. 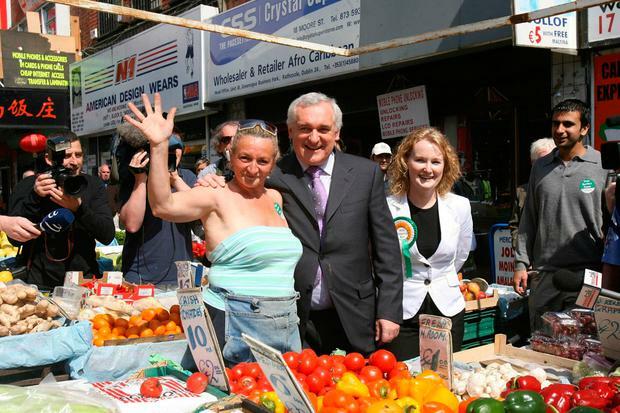 In spring 2007, Fianna Fáil briefly toyed with avoiding give-away promises – but Bertie Ahern quickly intervened to tell his colleagues: go and buy those votes. In fact the Labour Party had got its retaliation in ahead of time by being the first to offer generous tax cuts. Fine Gael, trying to revive its disastrous fortunes under Enda Kenny, drove right in there too with promises aplenty. The nearest we came to prudence in that election was the Green Party basing its manifesto on more modest economic growth projections. Just 15 months later, in autumn 2008, things began to fall asunder, first the banks, and then the property market and then the larger economy. In 2008 we found much of our so-called affluence was based on property tax revenues which had allowed government to increase spending and cut tax. In a terrifyingly short time that property tax revenue vanished. In 2018, we are very much depending on company tax windfalls which we know are not durable. Are we going to revisit our recent past? Randomly, we face a sizeable economic shock from any one of four sources: Brexit; global trade disruption caused by US President Trump; a change in our dependence on multinational technology firms; rising international interest rates at a time of a huge debt overhang. It is more than likely that one or more of these, or indeed other threats, could hit home soon. Then the Irish economy would be poor placed to cope – just like last time. We are not trying to say that Paschal Donohoe could have ignored the problems of the health services or avoided major investment in trying to address the housing and homelessness crisis. Ireland is, we hope, a society, not a convenient location for a dourly managed economy. Over the past two years spending on health has increased by €2bn and will be a record €17bn in 2019. We are assured there will no more supplementary top-ups required by year’s end, as frequently happened in recent years. But we cannot be sure as there is no evidence of major structural changes in the health system to justify this assertion. There is a sense that defences by Mr Donohoe and the Taoiseach of their stewardship to date rely heavily upon arguments that they are far less reckless than Fianna Fáil was in its heyday. Equally realpolitik tells our politicians their job is to win the next election by bribing us with our own money. And that is a route right back to the dark days of 2008.